https://nrich.maths.org/5897 Tug of War is now available on your browser! This will set the end/victory number for the respective player to win. 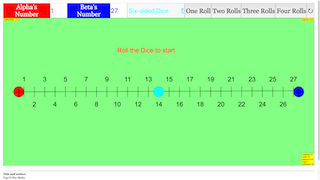 Toggling the type of roll will determine the numbers generated for each dice/coin. Step 3: Roll to Begin! Clicking on the roll buttons will lock any of the above settings that we have covered. The results will be displayed at their respective areas. 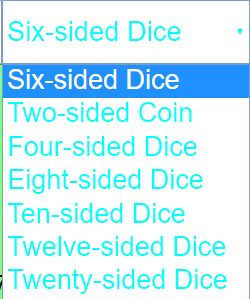 Only options up to the Six-sided Dice will definitely display unicodes for dices. and watch as the cyan object slowly move to their intended destination. Step 4: Roll until one player wins! Click anywhere on the panel to toggle fullscreen.